A new, visually appealing, content driven video experience on PlayStation 4 (PS4) which enable players and their households to easily discover and stream the best video content across PlayStation Store (PS Store) and 3rd party services. 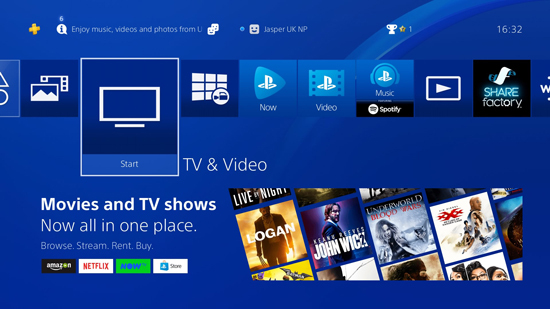 The new TV & Video interface on PS4 offers myriad benefits. More updates will be introduced in the future to further enhance and personalise the TV & Video experience to make PlayStation the best place to watch video. The new experience is initially available in Australia, Austria, Denmark, Finland, France, Germany, Italy, Norway, Spain, Sweden and the United Kingdom.